Air Force provides immediate and responsive military options across the spectrum of operations as part of a Whole of Government joint or coalition response, either from Australia or deployed overseas. We do this through the key air power roles - control of the air; precision strike; intelligence, surveillance and response; and air mobility - enabled by combat and operational support. Our trusted and respected leadership and professional mastery of air power is a product of attracting, training, educating and rewarding Australia's best people. Through efficient management of Air Force operations and business, we will continue to provide responsive military options to the Government of Australia for the defence of Australia and her interests. The Royal Australian Air Force's RAAF Base East Sale, in Victoria's Gippsland region, is the location of several specialist training schools. It is probably best known as home to the Roulettes aerobatic display team from Central Flying School. RAAF Base East Sale opened as a training base on 22 April 1943. Initially, the base was home to No1 Operational Training Unit (1 OTU) equipped with Bristol Beaufort light bomber aircraft. Following World War II, the RAAF Central Flying School was relocated from RAAF Base Point Cook to East Sale in 1947. The base plays a major role in training the next generation of Air Force personnel under the banner of Air Training Wing. This includes new officers at the Officer's Training School, as well as Air Combat Officers and Joint Battle Air Controllers at the School of Air Warfare and School of Air Traffic Control respectively. The base is also home to No 32 Squadron who fly the King Air multi-role aircraft and No 30 Squadron - airbase operations. The famous Roulettes aerobatic display team from Central Flying School is also located in East Sale. The base is located 6km from Sale's CBD and results in significant benefits to the local economy and community. When flying, Air Force pilots and crews operate the aircraft in a way that minimises aircraft noise. Air Force has an honest and open approach about the noise experienced by residents living near our bases and training areas. Detailed information about aircraft noise, including Australian Noise Exposure Forecast (ANEF) maps, is available at the Defence Aircraft Noise website or contact 1300 DEFENCE (1300 333 362). The Royal Australian Air Force's RAAF Williams comprises two RAAF Bases 20kms south-west of Melbourne at Laverton (just inland) and Point Cook (on Port Phillip Bay). Each has a proud place in Australia's military aviation history, Point Cook as the birthplace of the Air Force and oldest continually operating military airfield in the world, and Laverton as the Air Force's third base (since 1925, just after RAAF Base Richmond outside Sydney). 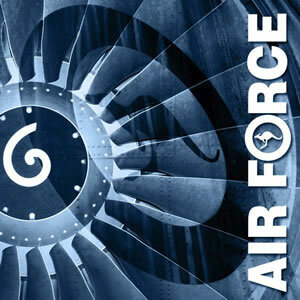 The RAAF Museum is housed at Point Cook and the Air Force Band operates from Laverton. Operations at both bases have been reduced in recent times as the Australian Defence Force has concentrated on defending Australia's northern approaches. The two bases were merged into one in 1999 and the Laverton airfield was sold off for suburban development. The main function of the two bases now is training.